London, 2014, a team of three detectives investigate hard-hitting and contemporary crimes. Witty and warm, D.I. Martha Bellamy fiercely protects her team – she’s exactly the kind of cop you want knocking on your door when your world has been turned upside down. D.S. Jack Weston, a man of action coupled with acute emotional intelligence, whose easy charm belies his killer gut instinct. D.C. Charlotte ‘Charlie’ Steele, who has a keen eye for detail and incisive mind which help her cut to the heart of any investigation. With improvised dialogue and using filming techniques and a directorial approach usually associated with factual programming, Suspects has the unique ‘insider’ feel of a documentary combined with an innovative procedural crime drama. 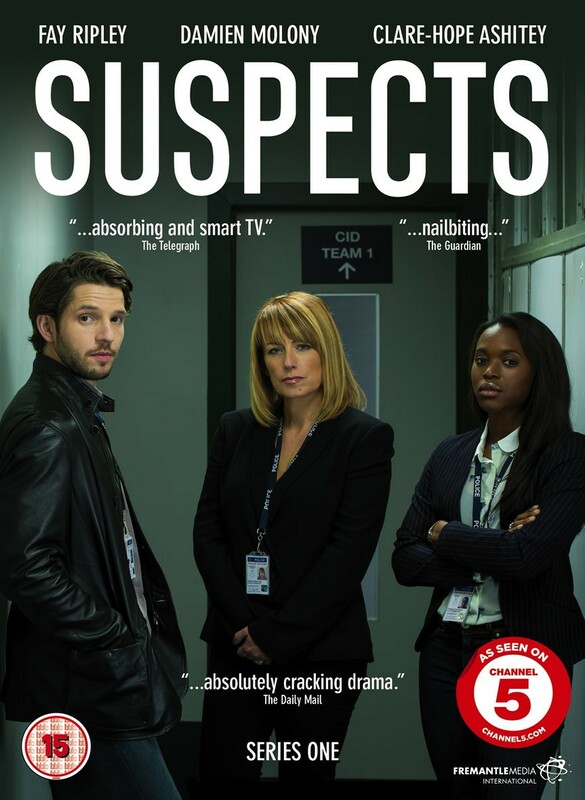 Starring Fay Ripley (Cold Feet, Reginald Perrin) Damien Molony (Being Human, Ripper Street) and Clare-Hope Ashitey (Children of Men, Top Boy).